Königs Wusterhausen as a transloading site was first mentioned around 1854. The reloading location Königs Wusterhausen is first mentioned in 1854. It was used for the transfer of mainly building materials that were bought to Berlin. In the framework of the opening of the line Berlin – Cottbus, the port received a rail connection. Thereby started the transportation of coal. During the years during and after the second world war there were more than 200 people employed here. The port is nationalised. It is assigned to the City of Königs Wusterhausen. 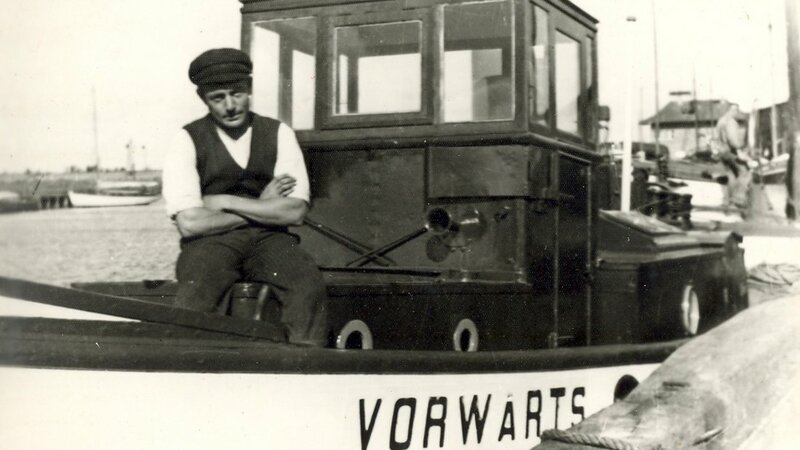 The reloading operation is integrated into the nationalised Barge and Waterways Company. It lost its independence in the seventies and became a operating part of the Barge Ports Oder Eisenhüttenstadt. 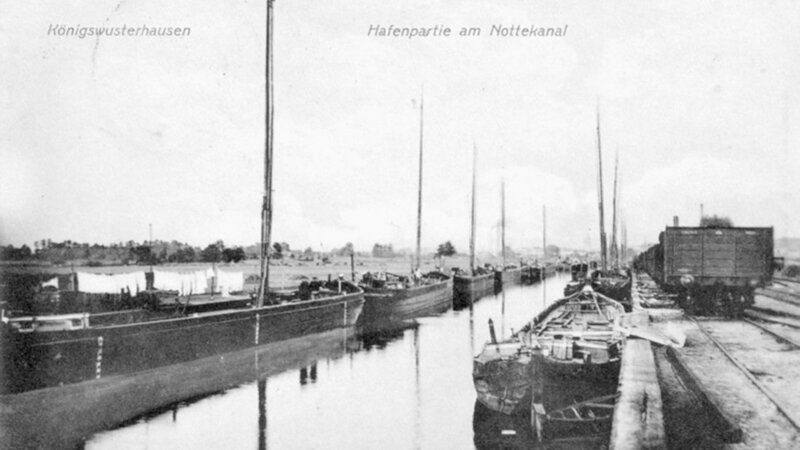 Due to its dominant role for Berlin, the Port of Königs Wusterhausen is changed to the Barge Port of Berlin. 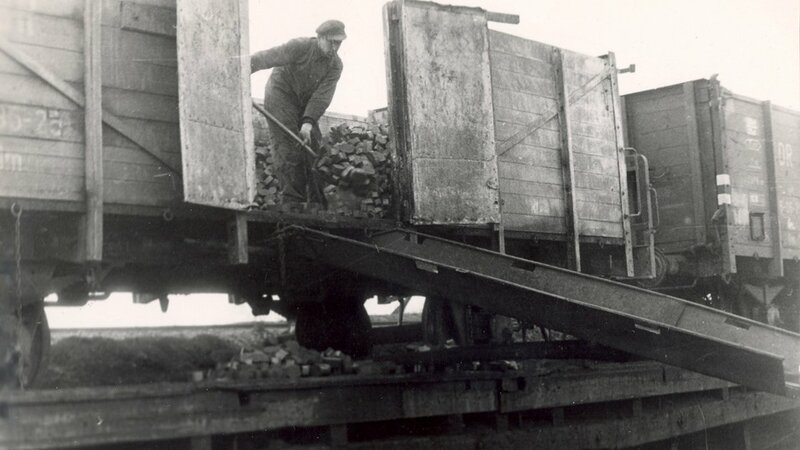 With the supply of brown coal to the power station Rummelsburg it was decided to upgrade and further construct the Port of Königs Wusterhausen. An expansion of some 15 ha was planned. High capacity tipping and crane facilities were constructed. A storage area for over 200,000 tons of coal was established. The port is de-integrated from the Barge and Waterways Company and the Barge Port of Berlin becomes a private company. The port authority becomes municipal, with 100% share holder being the City of Königs Wusterhausen. The implementation of wide reaching restructuring measures, including a rail link for Nordhafen. The port is increasingly a location for new businesses. Businesses take advantage of the trimodal transportation networks. The demand of newly locating businesses increases, so that the port is expanded into the outskirts of Königs Wusterhausen and Wildau. The Königs Wusterhausen/Wildau port is named “Güterverkehrszentrum (GVZ) Schönefelder Kreuz” (“Schönefelder Kreuz Freight Centre”) and thus becomes the 5th freight centre in Brandenburg. The site’s development into a freight centre brings with it new opportunities ranging far beyond the Berlin/Brandenburg region. The particular strength of GVZ Schönefelder Kreuz lies in the trimodal transloading of cargo, i.e. the combination of the transport modes of road, water and rail which make Brandenburg so unique.